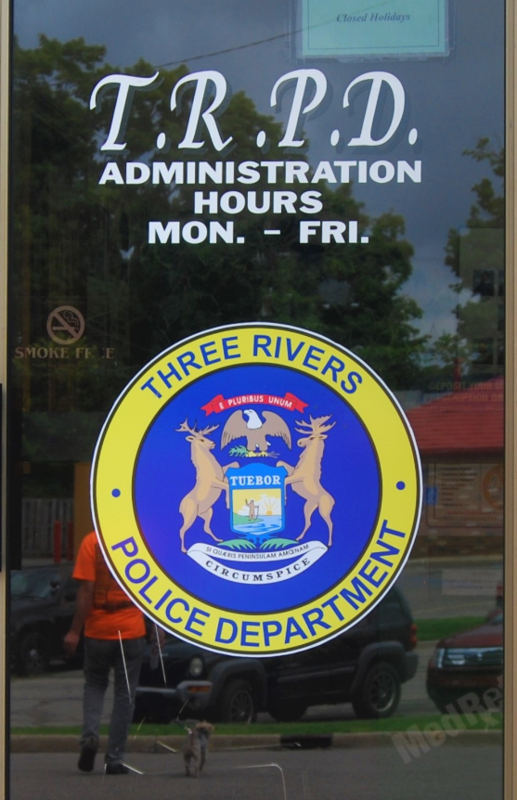 What are the curfew hours in the City of Three Rivers?Children under 12 years of age must be in a residence by 10:00 PM except when accompanied by a parent. Children between 12 and 16 years of age must be in a residence by midnight. What is the procedure and cost of getting police reports? Accident reports may be requested by your insurance company or you may pick them up at the Police Department. If any other type of report is needed, a Freedom of Information Request must be completed at the Police Department. Per law: the Police Department will have 5 working days to respond to your request. Call (269) 278-1235 for current cost information regarding police reports. What are the seat belt laws? Children under 20 pounds must be in a safety seat facing the rear of the seat. Children between the ages of 1 and 4 must be in a seat belt either in the front or rear seats and may also be in a safety restraint. Children between 4 and 16 years of age must wear a safety belt in the front or rear seats. Every passenger or driver in the front seat of a vehicle MUST wear a safety belt. Are there designated hours that a car cannot be parked on paved streets? No vehicle should be parked on any paved city streets during the hours of 3:00 AM and 5:30 AM daily. May I have as many vehicles as I want on my property? A maximum of two inoperable vehicles are allowed on your property only if they are parked in a garage, secured from open view by an opaque fence, or covered with a form fitting car cover. Are there any rules of the outside appearance of my residence? Yes, there is to be NO open storage of garbage, junk, building supplies, branches, etc. left on your property. It is the responsibility of the resident to keep lawn mowed and it must be shorter than 12 inches in height. Yes, According to the Three Rivers City Code, Monday and Wednesday from 9:00 a.m. to 7:00 p.m. and Saturday from 9:00 a.m. to 5:00 p.m. are the designated “burn days” for single-family residences. Burning is restricted to dry paper and wood products that will burn quickly and cleanly without smoldering or producing an odor and must be done in an approved container covered with a screen. The container must be located at least 15 feet from any structure and fire must be attended at all times. Garbage, building debris, grass clippings and of course leaves cannot be burned at any time. Whose responsibility is it to shovel the snow off sidewalks at businesses and residences? At a business, it is their responsibility to keep the sidewalk and parking areas clean and shoveled. It is the resident residing in a home that is responsible to keep sidewalks clean.